Jan is highly professional and motivated to meet her customers needs. She was quick to answer all our phone calls & texts. I never realized how much is involved in selling & buying a home. Anyone working with Jan can readily see how much she enjoys her job. We appreciate the "extras" that Klein Realty offer like usage of the moving truck. We will & have already spoken to others encouraging them to call Jan. She is a wonderful realtor. Our family was trying to sell a rental property of our sister, who is ill. While the property didn't have a great value, Heath and Co. worked diligently to find a buyer and handle the final sale. It was a burden lifted off our backs. Thanks so much! Tyler helped us purchase our home and he did a fantastic job. He was very professional and answered all of our questions. This was our first experience selling a property through a real estate company. Jan is first rate! Professional, prompt, knowledgeable & motivated. We always knew she had our best interest at heart. Thank you Jan for making this sale experience quick & painless. Jan was great throughout the entire process. I have had her as an agent previously and the smooth transactions keep me coming back.. She even checked on the house for me and made sure the heat was on while I was in the process of moving. Thank You So Much!! Gloria was professional at all times. She kept me informed always! She helped us even before we moved to Vincennes. We had constant contact with her the whole time. I highly recommend her to my friends and family in the future. She was always considerate to our needs and was very helpful to us with buying our home process. Karen is an excellent agent. She was very helpful at my time of despair. I would surely recommend her if anyone is looking for a good realtor. Karen, thanks to you the trailer was sold in a little over 4 months and all my worries and headaches are gone. Thanks for everything. I wish you all the best. We could not imagine a better Realty service-or company business. All of the staff were completely helpful, generous, respectful, polite, authentic, patient, caring, genuine, professional & friendly. I cannot possibly say how grateful and thankful we are for the people at Klein Realty. They cared more about us than our business. A true, one in a million business. I would recommend Klein Realty to anyone. There really is a difference. Heath & Angie were very helpful & professional. 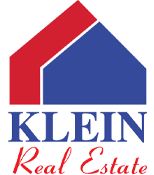 We would recommend Klein Real Estate to anyone looking to purchase or sell a home. We enjoyed working with them & feel we made the best choice in choosing their team. Jan was a wonderful agent. We are 2 1/2 hours away from Vincennes and had to sell my mother's house. She took care of us, with caring and compassionate work. Some repairs had to be made for the buyer and she found the laborers to accomplish this in record time. I can't thank her enough for being our realtor! Everyone was awesome! thank you so much for taking care of my family and I. We love our new home!! I feel like I made a lifetime friend with Jan!